I am not proud to be a Canadian. I never was, in fact. Always hated the concept. I am just a Canadian. I was born in Toronto, and grew up there and in Ottawa. I have two passports, two citizenships, a British one and a Canadian one. I have spent most of my adult life living in France. But I will never tell anyone I am British. 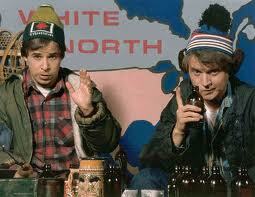 I am Canadian, that’s where I’m from, how I was raised, where my whole early essence of life comes from. Now, my life is all about the entire world, as readers of this blog will know, as I travel the world for my work and seek out music everywhere – the common language. All of this long introduction is just to say how “un-proud” I felt this morning as I picked up my copy of the May 2012 LRC, or Literary Review of Canada, and my eye was suddenly caught by a stamp, a logo of approval on the bottom right corner of the cover that read: Genuine Canadian Magazine. But having not read the Canadian Literary Review ever before in my life – it is more than 20 years old, but I have been in France longer than that – I suddenly felt as if a), my intelligence had been affronted in a place where I had gone to make use of it, and b), as if the quality of the magazine itself was most certainly going to be about as thick and impenetrable as Genuine Canadian Leather, or even worse, it would read like as if Bob & Doug McKenzie – sorry for the ancient reference from pop culture – had written it. How could any self-respecting literary review stamp itself as a “Genuine Canadian Magazine”? And why, above all, with a title such as “Literary Review of Canada,” would I in my wildest dreams have any doubts as to its origins or cultural background? The review, of course, looks and feels like a Canadian version of the London Review of Books, the LRB. It is about the same size, same paper, same layout – more or less. I have read such reviews for years, the LRB, The New York Review of Books, or NYRB, the Magazine Litteraire and Lire, in France, etc. Here I was now eager to break into the pages of the Canadian literary review and immediately being reminded of all I hated about my native country on the cultural level. I used to be well-liked at the University of Toronto in the early 1980s if ever I brought up any such topic of criticism of Canada’s effort to ghettoize its own literature by calling it “CanLit.” Give me the Lit, you keep the Can, I would say. And in recent days as I have not been attending open mics all over the world or even in my adopted home of Paris – thanks to it being August and most of the open mics being closed – I have been doing a lot more reading, particularly of this absolutely superb biography of one of my favourite authors, who also happens to be Canadian, Mordecai Richler. Interestingly, as someone who hates the concept of CanLit, two of my favourite authors are Richler and his fellow Canadian, Robertson Davies. 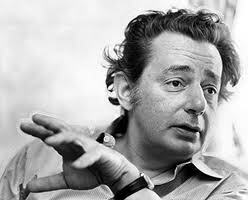 But in reading the Richler biography, written by Charles Foran – whom I also learned in the LRC, is the president of PEN Canada – I have learned that Richler also hated the whole concept of trying to prop up and boast about and support Canadian culture. His point of view was that it should survive on merit, not government support. Even more interesting, Richler was left-wing. Well, back to the LRC, that Genuine Canadian Magazine. FYI, my dad was founder and editor of another genuine Canadian magazine in the 1960s and 1970s, that I know would not have survived without government support – it was called Science Forum – and so I could not, either, be against government support. The point is not “don’t help it survive with money,” the point is, “allow it to be trashed, criticized, discarded, publicly ostracized and allow it to die…if it is no good. Allow it to be praised, promoted and loved if it IS good – in fact, if it is so good, it WILL be loved and promoted.” Here, yes, we arrive back at the LRC. My first impressions were completely destroyed by this stamp of authenticity. I had been really pleased to pick up a literary review from my country – I am Canadian, remember – and thought that I would feel a little closer to it in my bones and roots than the ones I was used to reading… only to then be treated like a bumpkin or tourist picking up a pair of Genuine Canadian Moccasins in Niagara Falls. Okay, so then I read it. Cover to cover in one sitting. It is superb. It is Canadian, but not exclusively so. It had stories about books on the failed, disastrous Franklin expedition to the Arctic in 1845 and how it has become a political tool to define Canada and its territorial rights; another on a book about Michael Ignatieff and the death of the Liberal party, written by Peter C. Newman; about a biography of the great theater director, John Hirsch, who had emigrated as a war orphan from Hungary to Canada after WWII; about the Mauthausen trials after WWII; it even had a couple of novel reviews! 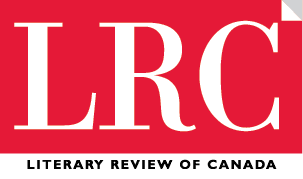 The point of this was that in reading the LRC, I felt a closeness to the English Canadian intellectual, creative and cultural world in a way that my life as an expat and my annual return trips only for my work as a Formula One journalist – which is how I bought the LRC in June – does not usually permit me to feel. Above all, the review seemed to me to be very much the equal to any of other such reviews I read or have read from any other country in the world. I was then told to visit magazinescanada.ca/ns to find my favourite magazine. I did so, and to my great shock, I found there just about every magazine that I ever knew existed in Canada. And I thought, holy crap, there’s no way I could even protest the culture police if I wanted to – without dropping all association with all Canadian magazines, including what appeared to be the major small literary reviews. At least it is not just the LRC that should be taken to task for this – although they would do well to be intelligent enough to at least drop the logo from the front page…if they are allowed to. So the point of today’s rant? (Yesterday’s rant was about unicycling and cops and traffic laws in France.) The point is that Canada should really drop its efforts to show and impose its culture as being the equal to any on earth – especially that of its great neighbour to the south – because its best culture IS up to the level of that of anyone else’s…except when the culture police pop up their heads and insult our intelligence by insisting that we hear that. Again, and again, and again. Inferiority complexes are not attractive. PS, in going to the LRC web site just now, I see there is currently a feature called, “How Others See Us.” Hmm… it’s catchy…. PPS, to add a point about not being proud to be Canadian, that phrase I used to open this rant. I speak in the same terms as one of the daughters of King Lear, when he asked his daughters how much each of them loved him. One of those daughters said she loved him – no more, no less. He failed to understand.